Tracee Ellis Ross made her way to the red carpet yesterday(October 9th) for the PaleyFest NY - Black-ish: A Conversation with Tracee Ellis Ross at The Paley Center For Media in New York. For the occasion, she turned to CHANEL wearing a FALL 2017 black heavily embellished ankle length dress which featured a high neckline, a cutout v-neck, three-quarter sleeves and a center front split. Tracee ditched the embellished brooch from the necklines which she did not need. Loving this dress on her because it suits her style but I am not loving the JIMMY CHOO pumps with this dress. She finished up with cornrow braids, smokey eyes and EVA FEHREN jewelry. 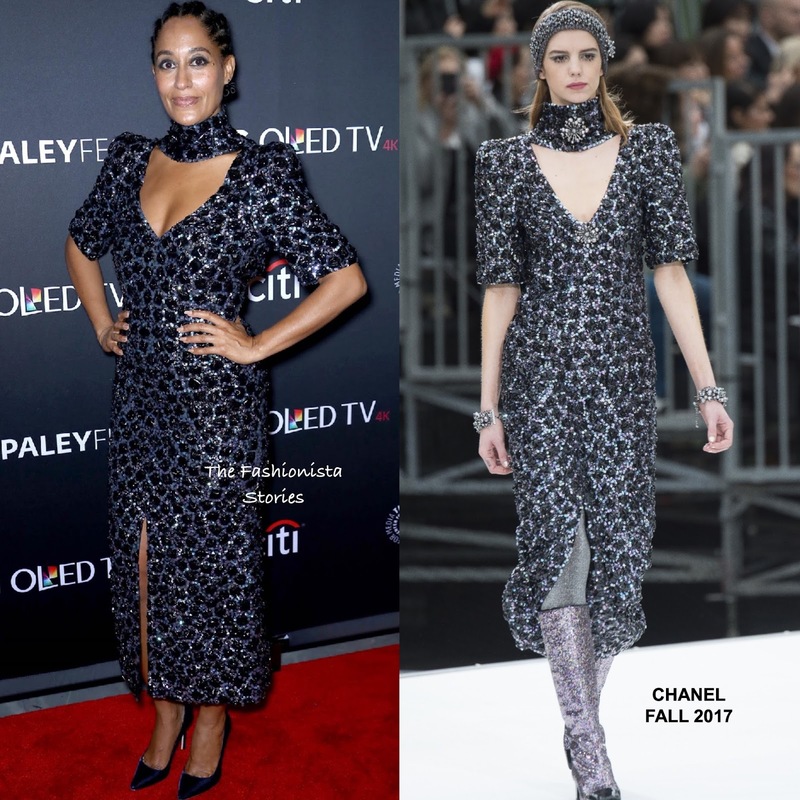 What do you think o Tracee's look?